If you have a child in school today, chances are you’ve heard something about the Common Core State Standards. Forty-five states and the District of Columbia have decided to align their instruction to these standards, promising sweeping changes to classrooms across the country over the next several years. 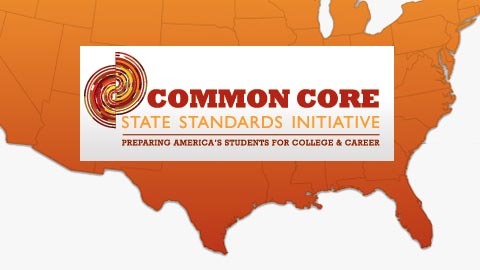 What are the Common Core State Standards? Why are they important? Where did they come from? What is Southwestern Advantage’s connection to the Common Core? The answers to these critical questions will help parents understand exactly what the Common Core is all about, and what it means for your child’s education. The No Child Left Behind education law—passed with wide bipartisan support in 2001—required all states that received federal education funding to develop standards and tests in grades 3-8 and once again in high school. With the set goal of 100 percent proficiency in math and reading by 2014, schools were held accountable for improving the percentage of their students that were proficient as they headed towards that goal (known as Adequate Yearly Progress). WHAT IS SOUTHWESTERN ADVANTAGE’S CONNECTION TO THE COMMON CORE? Southwestern Advantage understands the need for providing best-in-class educational materials that parents and students can rely on for an expert advantage in achieving these rigorous new learning expectations. We are committed to ensuring that students are successfully prepared for college and careers in a globally competitive world. All SkWids and Advantage content is correlated to the new Common Core Math and English Language Arts expectations for Kindergarten through grade 12. These new K–12 standards are built on the most rigorous and effective learning models across the country and around the world. Because of the Southwestern Advantage focus on 21st century learning excellence, students and parents can count on SkWids.com and SWadvantage.com for an ongoing commitment to providing expert and relevant learning content in all subject areas for success in school and in life. You can also visit the conversation on our Facebook page to read some parents' opinions about Common Core, and join in by letting us know what your thoughts are.